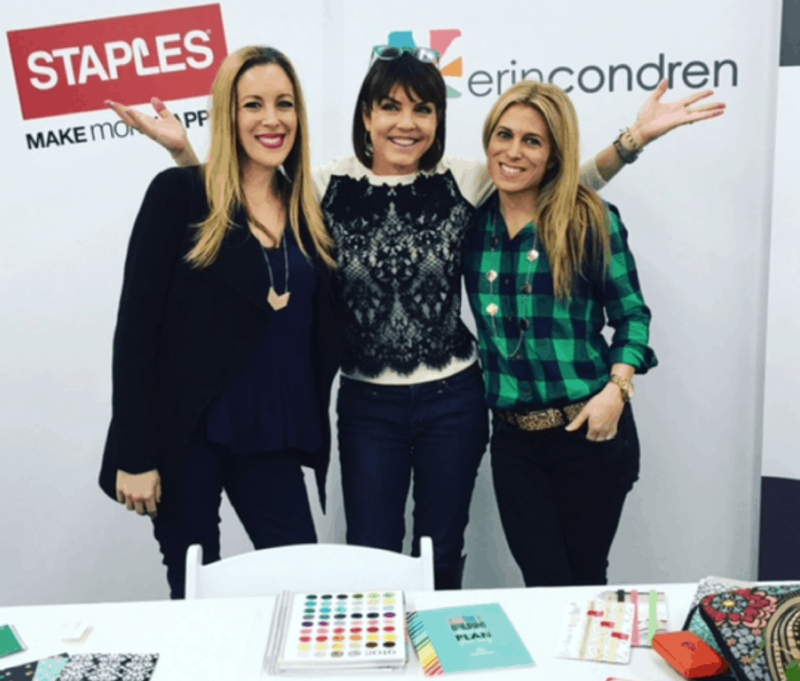 I had the absolute PLEASURE of meeting Erin Condren a few months ago at a local Staples event and she was simply amazing and now you can find her at Staples Online. Truly inspirational. I really enjoyed listening to her story / her beginning. Did you know that this empire started from the comforts of her home? She used to print her own stickers and sheets herself! Now, it’s a massive undertaking. Now… she is everywhere. LITERALLY! Thanks to the latest expansion, you can now access Erin Condren’s trendsetting LifePlanners, notebooks desk sets and more on Staples.com! I have been SUCH a huge fan of the line since last year that I even got my daughter in love with all the accessories, bold colors and treatments. After all, if you need to stay organized, why not do it in style? I also feel that when I have organization accessories, I tend to stay more organized. Is that strange to say? When I visit Erin Condren Staples Online – I find everything I need and then I get inspired to do more at home and in my professional life. It’s almost like I get the JUMP KICK I need to productively get out there and GO. Dream, Goal, Act. For back to school, I thought it would be fun to surprise my daughter with a new planner to help her gear up for her first year in middle school. WHAT? Middle School!?!?!?! Yes. We are there. Natalie needs to get used to having several different teachers, several different classrooms, a homeroom and lots of different schedules. This is exactly what the organization doctor ordered. If you are looking for the latest in bold and inspiring organization solutions, you can now find Erin Condren’s line of products for the first time on Staples Online and at nearly 500 Staples stores across the country. Carry-all clutches: Bold colors and inspirational quotes printed on stretchy neoprene cases make it the perfect bag for the LifePlanner, tablet, cell phone, and accessories. 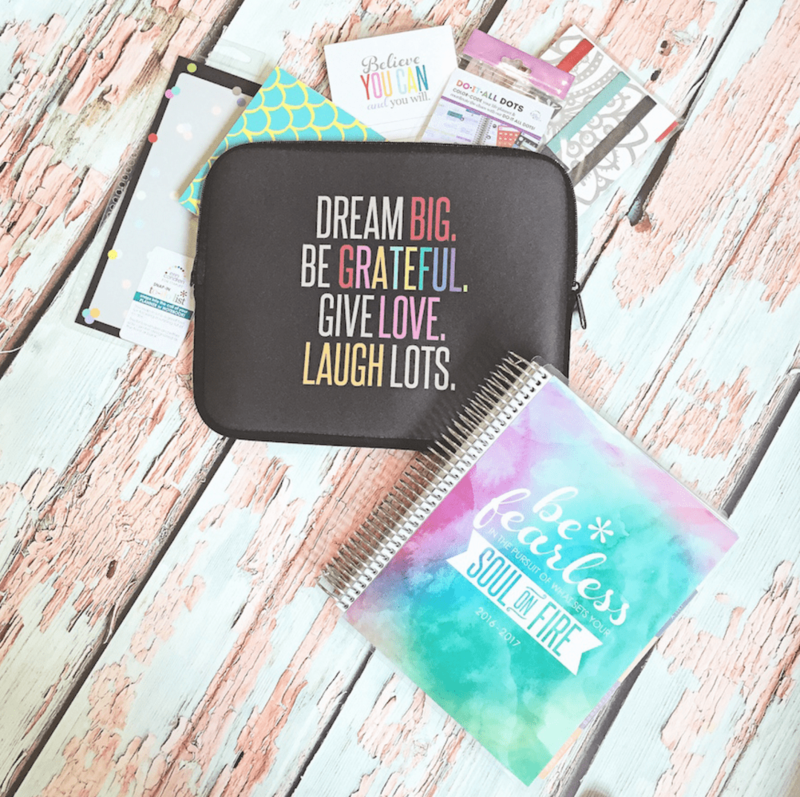 Erin Condren’s collection of LifePlanners, planner accessories, notebooks, teacher planners, markers, carry all-clutches, desk sets, pads and memos retail from $2.99-$64.99. To shop Erin Condren’s organization solutions, visit the Staples store locator or shop Staples Online. (www.staples.com/erincondren). Previous Post: « Hitting Level 3 In The #HealthiestYouEver Culturelle Community And Loving This Face Mask! !